The family will hold a private memorial service at a later date. Burial will be in Snell Cemetery, Emmett, Arkansas. In lieu of flowers the family would appreciate your prayers.Online condolences may be offered at millerstewartfuneralhome.com. 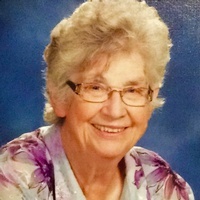 Ann Fisher Boyd, 80, of Port Lavaca, passed away July 16, 2018. She was born Oct. 2, 1937 in Corpus Christi to King Fisher and Mary Jewel Tanner Fisher. Beautiful mom, grandma and friend Delores “Dee” Castillo, of Magnolia Beach, passed away at home Saturday, July 19, 2018 surrounded by family members. Jose E. Castro, 34, of Port Lavaca, passed away Saturday, July 21, 2018. 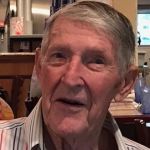 Chuck Ward, 89, of Port Lavaca, passed away July 17, 2018. He was born June 19, 1929 in Oak Park, Ill. to Alvin and Florence Ward. Services: 10 a.m. Thursday, July 26, 2018 at The Heights. Burial: 2 p.m., Oakwood Cemetery, Waco, TX. Visitation: 6 – 8 p.m., Wednesday, July 25, 2018, The Heights. View The Obituary For Randi Jay Cones of Lubbock, Texas. Please join us in Loving, Sharing and Memorializing Randi Jay Cones on this permanent online memorial presented by Bartley Funeral Home. View The Obituary For Dominga G. Ramirez of Cotulla, Texas. Please join us in Loving, Sharing and Memorializing Dominga G. Ramirez on this permanent online memorial presented by PETERS FUNERAL HOME. View The Obituary For Gloria Jean Wallace of Bay City, Texas. Please join us in Loving, Sharing and Memorializing Gloria Jean Wallace on this permanent online memorial presented by Taylor Bros. Funeral Home. View The Obituary For Nancy Elizabeth Godsey of Bay City, Texas. 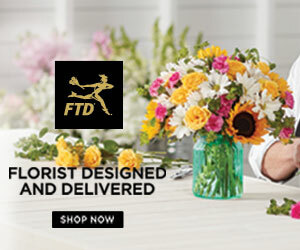 Please join us in Loving, Sharing and Memorializing Nancy Elizabeth Godsey on this permanent online memorial presented by Taylor Bros. Funeral Home. View The Obituary For Edna Shirley Bibb. Please join us in Loving, Sharing and Memorializing Edna Shirley Bibb on this permanent online memorial presented by Scott Funeral Home. 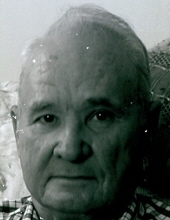 View The Obituary For Benny Ray Bragg, Sr. of Shelbyville, Texas. Please join us in Loving, Sharing and Memorializing Benny Ray Bragg, Sr. on this permanent online memorial presented by Starr Funeral Home.